A DIY painting job doesn’t have to equal crooked lines, besmirched floors, and ceramic sinks speckled with robin’s egg blue. 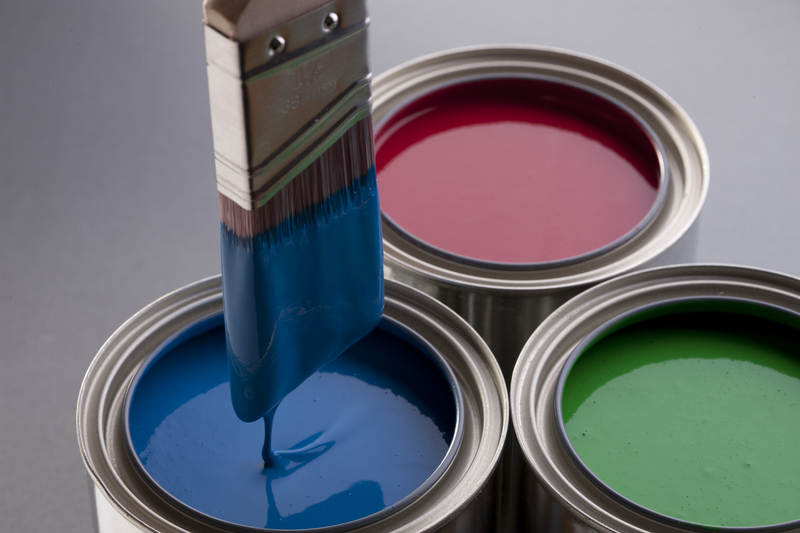 Use these simple painting tips and tricks from the pros to make the process faster and less messy — and ensure a fresh, modern look for your home. Every DIY painter has been privy to the horrors of a day-old brush with stiff bristles that makes round two nearly impossible. Swish brushes in the mixture for 10 seconds or so. Lay them flat or hang them on a peg for overnight storage. “That way, the bristles won’t develop a bend and will retain their usefulness for your next painting adventure,” says Artem Filikov, vice president of marketing and product development for home improvement website HomeYou. Also, there’s no need to rinse before using. The softener actually helps distribute paint more smoothly.Sweet! When painting around a large, awkward item you want to keep clean, like a toilet or a standalone sink, surround it with plastic wrap to keep drips from destroying its finish. For an extra tight wrap, choose a wrap with an adhesive backing — your hardware store will even carry special painter’s plastic wrap, if you really want to go all out — which will help it stick to the surface and prevent the odd drop from inching its way in. Once you’ve finished the job, just unwrap for a paint-free finish. Paint’s intense odor can get really old really fast. Overpower it with a little bit of vanilla. Although there are vanilla-scented products specifically designed to use with paint, you can get the same effect with what’s in your kitchen cabinet. 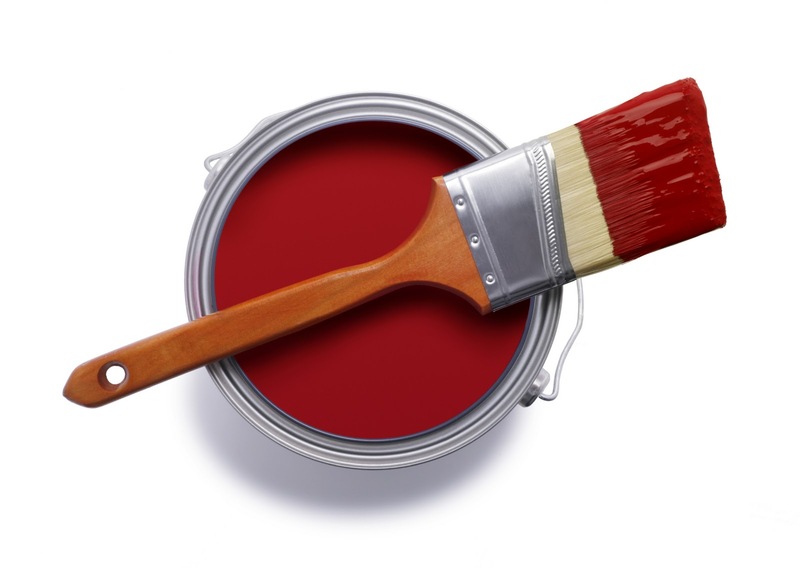 For darker paints, add a couple drops of vanilla extract (artificial is fine) per gallon to reduce the nasty smell and keep your room smelling sweet for weeks to come. Because you don’t want the tint of vanilla to ruin the color of your paint, swap it with lemon extract for light-colored paints. Painting’s a messy job, but using roll after roll of paper towels is neither efficient nor environmentally-friendly. And while you could pick up a mega-pack of plain cotton towels to keep paint from splattering, why not use something you can find stuffed at the back of a drawer. Geoff Sharp, the owner of Sharper Impressions Painting Co., recommends cutting up old T-shirts to use as rags, saving money and resources (not to mention a trip to Goodwill). Oh no! A drop of Naples Sunset just splashed on your white window frame. You’ve only got a few minutes to clean up the mess before your mistake is sealed for eternity. That’s where Q-tips come in handy. Just stash some in your pocket for these types of emergencies. Here’s another use for that pile of cotton swabs tucked in your jeans pocket: Use them to touch up imperfections on newly-painted walls without dirtying an entire paintbrush. A little bit of Vaseline can go a long way toward keeping your paint job clean. Using a Q-tip (another reason to keep them handy), go over all the bits and pieces you don’t want painted, like screws or hinges. With the petroleum jelly applied, even an accidental slip won’t leave you heartbroken. Here’s another tip for a hassle-free paint job: “Run petroleum jelly along the seals of your doors and windows to prevent them from sticking,” Sharp says. Painter’s tape is supposed to make your paint job easier and stress-free. But when strips of perfect paint peel off along with the adhesive — or you just can’t get the darn tape to come off at all — you might feel like you wasted your effort. To help stubborn painter’s tape get a move on, turn a hair dryer (low heat only) toward your handiwork. Holding it about three inches from the wall will help soften the adhesive and ensure an even line, making removal a stress-free affair — and ensuring you keep that dreamy, crisp paint line.